The RYA has set in place its 2014 Brewin Dolphin Commodores’ Cup Selection Panel to run the trials over the Spring, and help develop its GBR teams into a group of potential Commodores’ Cup winning boats and sailors. Chairing this group is Chris Mason who will be supported on the Panel by Jonathan Goring and Chris Arscott – a blend which mixes professional sailing with experienced campaign-hardened owners. Mason has over 35 years’ worth of big boat racing experience from one-design through to America’s Cup Challenger trials. He has previously won the Commodores’ Cup, was a member of the Selection Panel in 2012 and is looking forward to using his wide range of skills and experiences to not only run a successful set of trials, but also to help owners enjoy the process and hopefully come back again to challenge in the future. Jonathan Goring is one of the UK’s most talented and committed owners, having been a part of the winning team twice, the first in 2004 and the second time in 2012. Goring’s experience in campaigning will bring a focus on team composition, commitment to training and boat preparation, areas which he feels are key indicators of likely success in 2014. The final member of the group is Chris Arscott, who is the past Commodore of the Royal Western Yacht Club based in Plymouth. Arscott also brings a strong campaign element to the Panel, having won the selection trials in the small boat division in 2010. He is keen to help run a fair and transparent trials, and also to help the selected teams continue their development right up until the event in July 2014. 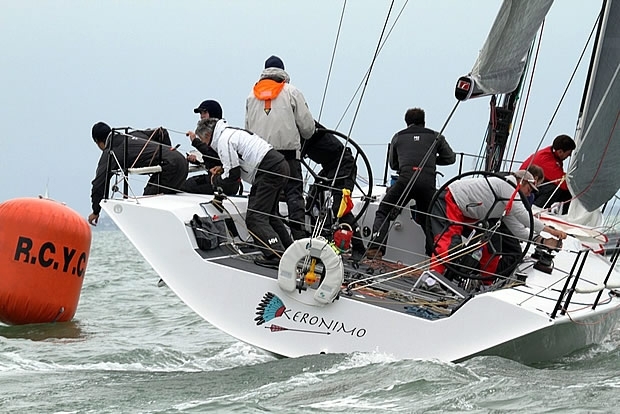 The RYA has selected three events for its trials, starting with the RORC Cervantes Trophy Race which sends competitors across the English Channel from Cowes over to Le Havre in France. Triallists will then be challenged to some inshore racing where they will take part in the Vice Admiral’s Cup before heading offshore again for the final event which will be the RORC-run Myth of Malham race.